Neat Jax was featured on a recent episode of Face The Truth, volunteering time to help a mother in need. Maureen Porcelli, owner of NEAT Jax meets with Adrienne Houghton about NEAT’s services and how they’ve been transforming homes in the North Florida area since September 2016. Maureen Porcelli Bush, owner of Neat Jax joins the Morning Show to share some helpful tips to organize your life. We sat down with Meghan Lane at Babecast to chat about life in Jacksonville, puppies and NEAT Jax! NEAT Jax shares a few tips on how to maintain a tidy home after Spring cleaning! Maureen Porcelli of NEAT Jax was featured bu an online community for working women to connect and empower one another across all industries, professions, backgrounds and locations. A few tips to optimize overlooked storage space from NEAT Jax and other local home organizers. 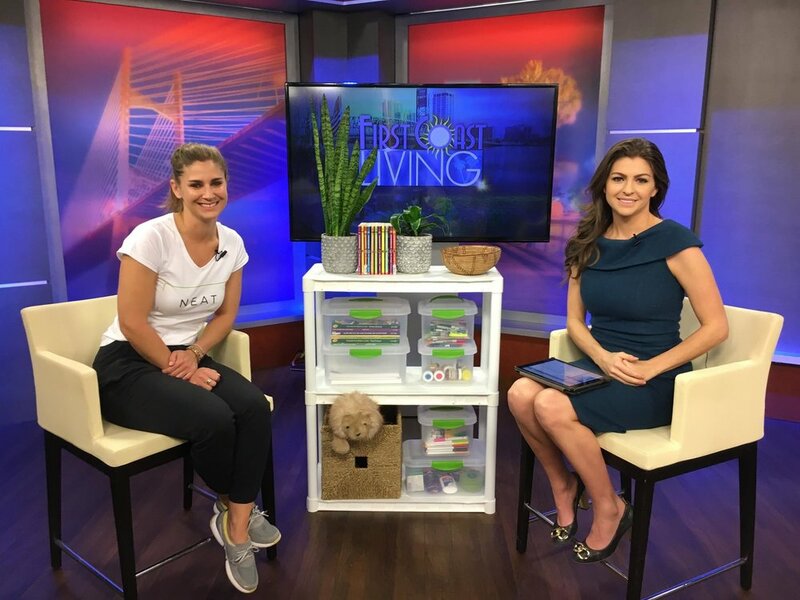 A great conversation with Casey Desantis on First Coast Living about how NEAT Jax got started. We discuss a few tips and tricks on how to keep a kid's play room tidy and organized. Maureen Porcelli, owner of NEAT Jax gave some tips about healthy houseplants that can clear the air in your home.